I am so excited to announce the Passion For Savings Reader Favorites! I know you guys have all been asking for more recipes on the site and while I am more than happy to share my Family Favorites I want to let you have the opportunity to share as well! Plus, If your recipe is selected you will receive a $10 Amazon Gift Card as our way of Saying Thanks for Sharing! 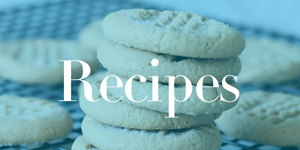 Include an Original High Quality Photo of the Finished Recipe – Note: You must submit a high quality photo or we will not be able to publish your recipe.